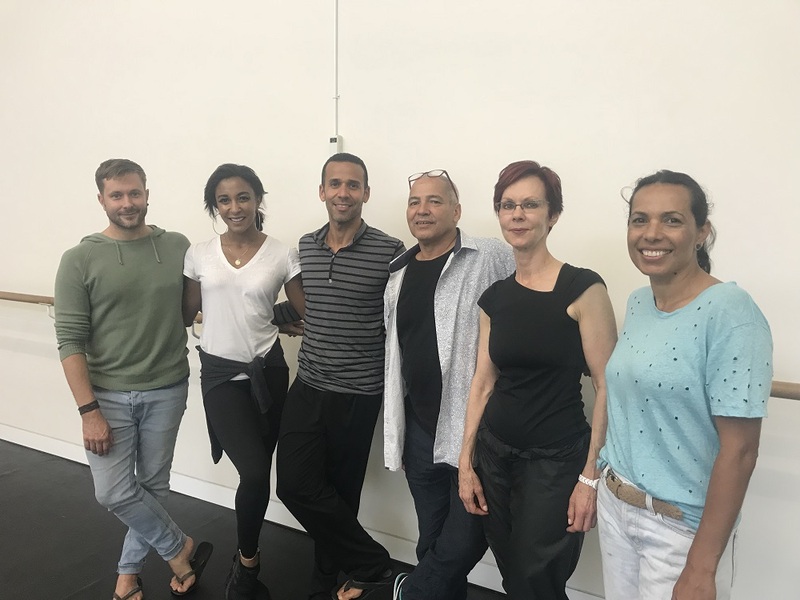 In February 2018, NAISDA was fortunate to host Alvin Rangel along with fellow Horton teacher Cynthia Riesterer, for a two-week Horton Intensive. 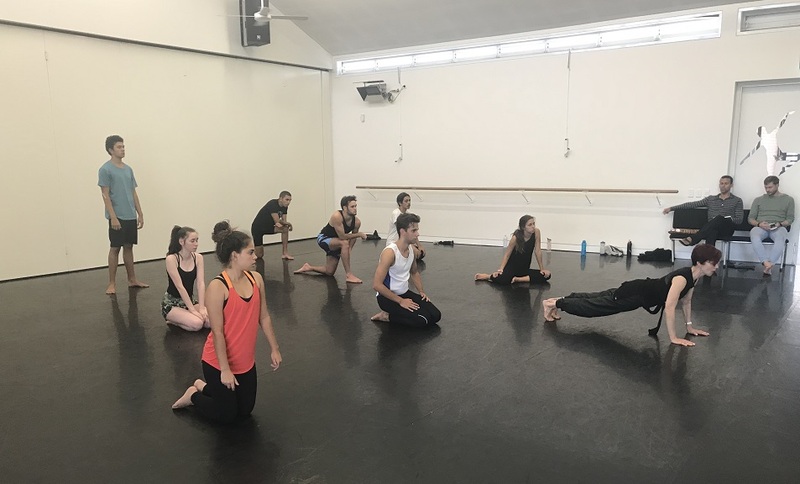 During this time, our Developing Artists had an opportunity to learn about this dynamic and functional dance form and improve their overall dance technique. The Horton Technique was pioneered by Lester Horton, who developed the dance form throughout the 1920s, 30s and 40s based on Native American dances, anatomical studies and other movement influences to strengthen and open up the body for performance in any style. Horton has remained an important dance technique, particularly across North America and most notably at the Alvin Ailey American Dance Theatre. The technique is seen to strengthen and increase the expressive range of dancers’ bodies. You can learn more about Horton Technique here. For over 20 years, Alvin has enjoyed an international career as a performer, choreographer, educator and artist/scholar. He began his professional career performing ballet and jazz in Puerto Rico and has had the honour of performing in some of the most prestigious performing arts centres in Puerto Rico and the United States: Kennedy Center, Brooklyn Academy of Music and Lincoln Center among others. Alvin is an Associate Professor of Dance at California State University-Fullerton, teaching in the areas of dance composition, improvisation, modern dance, ballet, Horton Technique, African American Concert Dance and dance history. We had the opportunity to talk to Alvin about his experiences teaching at NAISDA as part of the two-week Horton Intensive program. Here’s what he had to say. How did you first become familiar with the Horton Technique? I started dancing in my home country of Puerto Rico as a young teenager and it wasn’t until I started travelling internationally to dance that I was introduced to Western dance forms. I initially started out as a ballet dancer. My Horton connection started a little later in my career through Cynthia via the University of Cincinnati. Cynthia was the Company teacher of the Horton Technique as taught by the late James Truitte. It was very challenging but I loved learning the technique. Why do you think Horton is such an important technique for dancers to learn? Horton is all about strengthening yourself as a dancer. It’s not designed to make you dance a certain way but to use your anatomy to unlock your full potential as a dancer. It’s a universal technique that will help you to become a more versatile dancer and prepares you for multiple dance forms. Dancers should use the Horton Technique as a tool to broaden themselves and grow as an artist – it’s not just about the steps and mechanics. Tell me about your experiences teaching at NAISDA. What has it been like to conduct the Horton Intensive classes? I see myself in the Developing Artists and I understand where they are coming from – I was there myself. There’s an approach I have taken to help explain things more clearly so that they can better grasp the concepts over a short period of time. This is my first time in Australia and I’ve really enjoyed being at NAISDA and learning about Aboriginal culture and being exposed to that side of Australia’s history. It’s really helped me to better understand the DAs. I’ve also fallen in love with the term ‘Developing Artist’. To me, it’s so profound as it gives a sense of ownership and agency to their role. I’ve already said that I’m going to bring this powerful terminology back to the US for my own classes. What advice do you have for NAISDA’s Developing Artists and really any aspiring dancers out there who are considering a career in dance? Within NAISDA, the DAs have a cohort, which I think is so helpful. I think it’s extremely important that we support each other as a community of artists, collaborating and being exposed to different aspects of dance. This opens up your mind to the possibility. Click here to read our interview with Cynthia Riesterer.